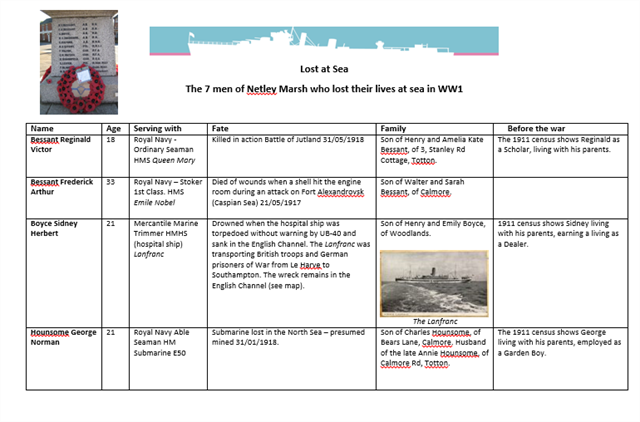 Crack the code to commemorate the fallen of Netley Marsh and discover more about the First World War at sea. This cache was created with the help of the 6th New Forest North Netley Marsh Scouts. 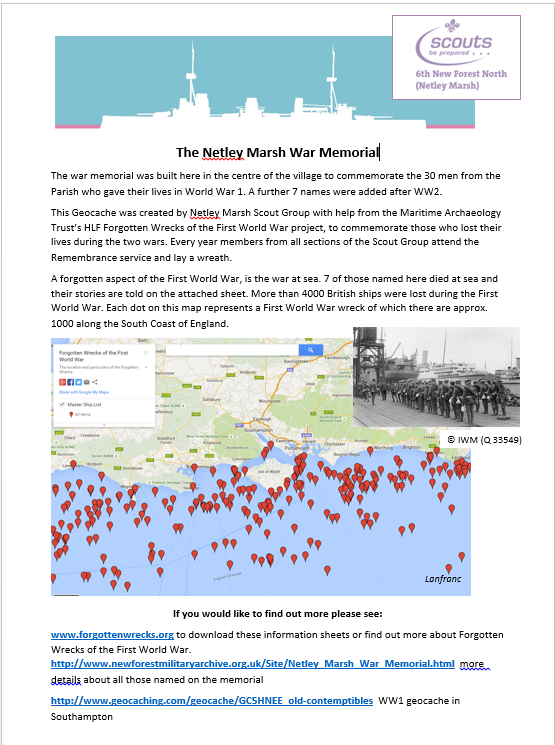 It was created to commemorate the 30 men from the Parish of Netley Marsh who gave their lives in the First World War. To find the actual location of the geocache you will need to crack the code! 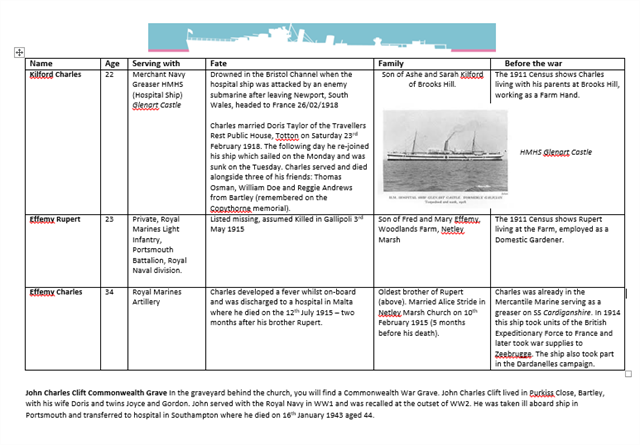 Visit the memorial at the coordinates shown, then use the code system to convert the missing letters in the names (below) to numbers to form the new coordinates. You will find the nano cache cunningly disguised at the new coordinates. Due to lack of hiding places and comments that the cache was too visible, I have chosen a nano container which means the log is really fiddly and you may need tweezers to extract it. It might be easier to log your visit with a selfie/photo!. Have fun! Why was this Geocache created?Why was this Geocache created?